This email looks best with images enabled. To view this email online, view the email below. The Government's broadband delivery arm, BDUK, has set a national target to provide superfast broadband to 95% of the UK by December 2017. Here in Leicestershire, we have already achieved that target and we're going further, with 96% of homes and businesses set to have access to superfast fibre broadband with speeds of 24Mbps or more by the end of December. And we're not going to rest on our laurels  we're already working towards meeting the target of 97% coverage by September 2018. Superfast Leicestershire has already made superfast broadband available to more than 60,000 homes and businesses in the county and city, with a further 13,000 experiencing significantly higher speeds than previously. If you have any questions, email info@superfastleicestershire.org.uk Keep using the line checker to see if you're already connected to fibre broadband. Visit the When and Where? page of the Superfast Leicestershire website as the line checker is updated before anything else. Residents and businesses across Leicestershire are being urged to check to see if they can benefit from a Government-funded scheme which provides subsidised broadband installation to anyone who is unable to access a broadband service with a download speed of at least 2Mb per second. The Better Broadband scheme has been developed to ensure that everyone is able to access a basic broadband service. The scheme awards vouchers of £350 to eligible applicants to cover the cost of installation and equipment needed to provide a faster broadband service. The scheme is managed by Leicestershire County Council and is funded by the Department for Digital, Culture, Media & Sport (DCMS). The connection discount is available to anyone who is unable to access basic broadband of at least 2Mb per second and where there are no plans to provide superfast broadband access within 12 months. Applications can be made by completing a simple form on the Superfast Leicestershire website, where you can also find more information on the scheme and how to apply. In June this year, the Council approved the development of Phase 3 of the Superfast Leicestershire programme. As part of this new stage, the Council will be reinvesting £5.7m to extend the reach of superfast broadband to many of the 'final 3%' of the county that would otherwise be left behind on slow speeds. We are currently undertaking an Open Market review with broadband network operators to identify their current and future coverage plans. This will be followed in December by a formal Public Consultation. Both processes will help us determine which homes and businesses will need our intervention. You can read more about Phase 3 on our Superfast Leicestershire website. Once we are sure where we need to target, we will be going out to secure a broadband delivery partner. We hope to be able to award a contract or contacts in spring 2018, with build expected to start late 2018 and during 2019. If you would like to join the Superfast Leicestershire team, now's your chance to apply, with two roles available. We are looking for a Broadband Assistant Project Manager, with responsibilities including management of complex contract with broadband providers, as well as developing and maintaining relationships with stakeholders. There is also a vacancy for a Communications & Engagement Officer, who would be responsible for leading the broadband marketing campaign, promoting the programme in the wider community and building relationships with stakeholders. The closing date for applications for both vacancies is midnight on 3rd December. The following green cabinets (usually stood at the side of the road) are now enabled with fibre broadband. If you live in one of these areas and would like to upgrade to fibre broadband, search for fibre broadband providers in your area or speak to your current communications provider about upgrading. Visit the Superfast Leicestershire website for more information. 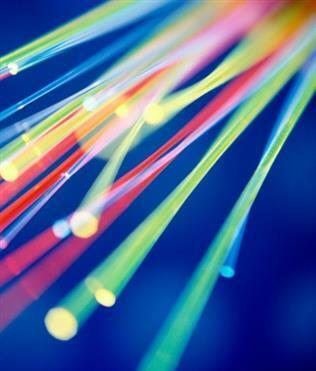 Please be aware that as cabinets go live they can take a couple of weeks before you will be able to order the fibre broadband. Providers can sometimes also take time to become available on the fibre network. To get the best deal, wait 2-3 weeks when the market becomes more competitive. To see if you can upgrade to fibre broadband now check out the When and Where? page. Find out more on our FAQ pages. These cabinets are currently experiencing some difficult challenges and are our top priority. Glen Road, Newton Harcourt (Great Glen 10)  The issue with moisture inside the cabinet has been resolved. We expect to complete the build of this cabinet in the next week, when we are hoping to switch it to live. School Lane, Narborough (Narborough 37)  We are still waiting for an agreed date for the road closure needed to complete the installation of new fibre cables. We anticipate this cabinet will go live by the end of December 2017. Kibworth Road, Wistow (Great Glen 9)  This is cabinet is currently on track to be live by the end of December 2017. Scraptoft Road, Beeby (Hungarton 2)  The build is now complete and we are awaiting commissioning of this cabinet. Bruntingthorpe Industrial Estate, Peatling Magna (Peatling Magna 1)  We are still working with the private landowners to connect this cabinet to the fibre broadband network. We expect the cabinet to go live by the end of December 2017. Scraptoft Road, Beeby (Hungarton 3)  Further planning is required on this cabinet. We are working on the plans currently and expect the cabinet to go live by the end of March 2018. Belvoir Road, Knipton (Knipton 7)  The network needs updating before we can switch the cabinet on. We expect this cabinet will go live by the end of December 2017. Main Street, Knipton (Knipton 8) - Further planning is required on this cabinet. We are working on the plans currently and expect the cabinets to go live by the end of March 2018. Please be aware that these dates are subject to change depending on the individual situation. Our schedule of works is based on three-month slots in which certain cabinets will be enabled. We reserve the right to move these around if faced with engineering difficulties or wayleave/traffic management issues. We are, however, finding that the majority of cabinets in a phase are being enabled towards the end of each quarter. More than 1,100 homes and businesses connected since our last project update! This message was sent to sandrarealcom@gmail.com.